created for those using their smartphones to share live interactions. 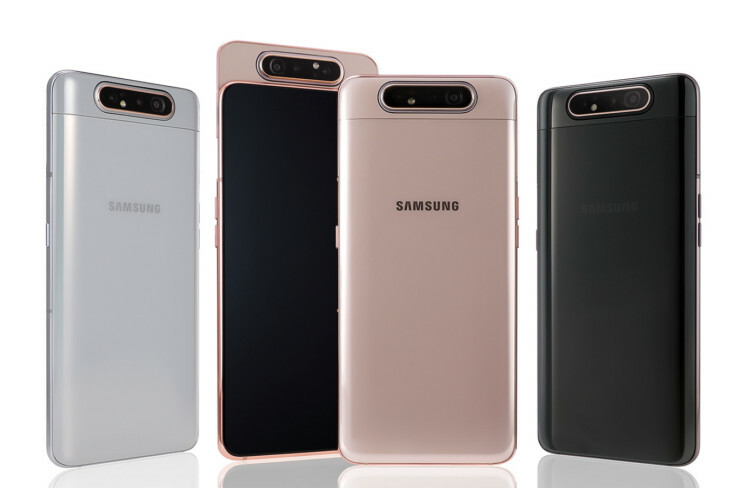 The Galaxy A80 offers a full-screen display, Samsung’s first rotating camera and an intelligent battery. The Galaxy A80 lets people capture the world around them. When you select the selfie mode in the camera app, the three cameras automatically pop-up from the back of the phone and rotate. The camera mechanism delivers the same triple camera experience with the same high-resolution lens, front and rear. The A80 comes equipped with a 48MP main camera, a 3D Depth camera with Live Focus videos and an Ultra Wide angle lens with the same viewing angle as the human eye. 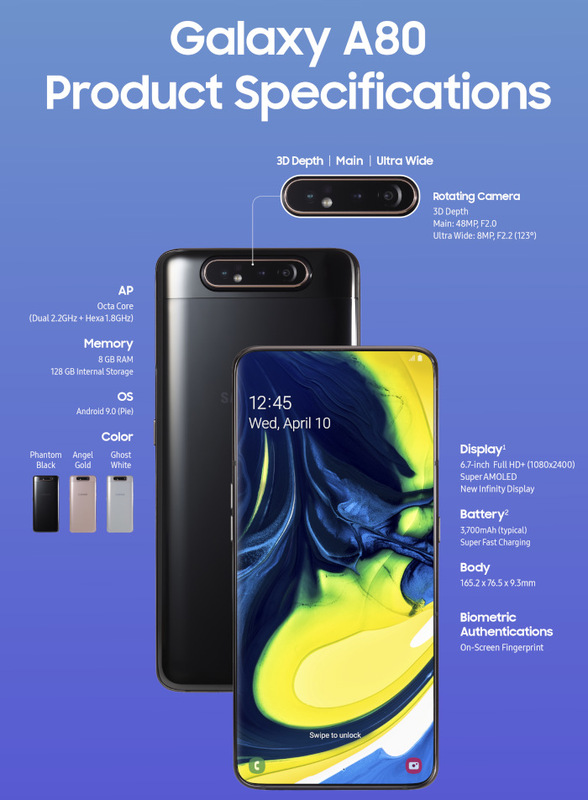 that is nice that this smartphone has cameras that can be rotate either to the front or to the rear for taking selfies or scene away from you. that is really creative there. cool. oh yeah, that might means it could save cost by having less cameras in the phone by making it rotatable. not just that but by having less cameras, they can increased the quality of the cameras too by making it quality over quantity. very nice. Their folding phone is already breaking or bulging in the middle. Almost $2000 and the dang thing gets damaged within a couple of days of use.